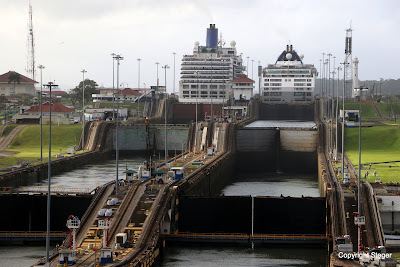 Today's photo-of-the-day is of the "old" Gatun Locks of the Panama Canal. These are the locks that have been in service since 1914. The "new" larger locks are also available, but the old locks continue in service for ships small enough to fit (so-called Panamax size).